For anyone who has ever played a moment in GTA V, it’s quickly realized that the game offers some incredible moments. 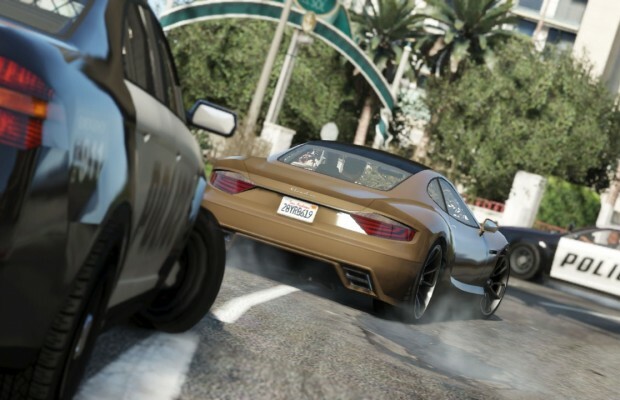 The cinematic camera option returned to Grand Theft Auto V, and it truly allows players to add a film style approach to any videos that they record. The car chase we’re bringing you today from Grand Theft Auto V looks like something out of a Michael Bay film. As clayman90 makes his way towards and up Mt. Chiliad, an incredible police chase happens. A combination of luck, skill, and well-placed sticky bombs leads to one of the more entertaining videos we’ve seen from the game yet. Have you had a car chase better than this? What are some of your favorite moments in Grand Theft Auto V? Be sure to let us know what you think by leaving us a comment below, or continue the discussion on Facebook and Twitter.